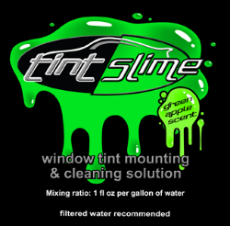 Car Window Tinting - Window Tinting Tips,Tricks & Training: Marketing Your New Car Window Tinting Biz. Marketing Your New Car Window Tinting Biz. The internet just isn't going away and without it your marketing efforts will be seriously compromised. So what do you need to do to try and get your website listed in Google and other search engines so local customers can find you when searching for "car window tinting in your town". The first thing you need to consider is your domain name, use a service like namecheap.com to purchase your domain name, think about the name selection carefully, your business may be called "TJ's Car Window Tints" but a domain name like www.windowtintingohio.com will be better suited for your website, by including the keywords that your customer searches within your domain name you wil automatically have an advantage over your competitors who are not doing this.Once you have decided on a name, you then need to get some web hosting, a company like hostgator.com are a good choice here as they have a big scaleble network. Finding a good web designer for your car window tinting website is next, along with branding and logo design, this really depends on your budget but if money is tight go to fiverr.com and look for service suppliers here, make sure you filter your results based on "rating" so you find the best people, and while you are at it, find somebody who can install Wordpress using the C Panel feature provided by Host Gator. Visit Themeforest.net and search for wordpress themes, these are like skins for your website and you can pick up some really nice designs for $20-$40. Next up once you get all this rolling is optimising your site to catch local searches, here you need to be very careful, a good place to start is with getting your site listed in some directories and if you google "Directory Submissions" you will find some good companies, get some social bookmarking services from Fiverr.com but avoid anything that blasts a lot of backlinks to your website. Set up a youtube channel for free and upload videos of your car window tinting jobs and tag them with the keywords your customer would search for you, get somebody from fiverr.com to do a submission to the various video content networks to give your video a boost in the rankings. Finally, make sure you keep posting content onto your car window tinting website every week, 2 or 3 times a week even, this can be pics of cars and a description of the work you have done and include your keywords in the blog posts you make. Follow this avice and you will soon be ranking high for your local area when somebody searches for car window tinting. If you leave your site sat there doing nothing, dont expect google to show you any love! 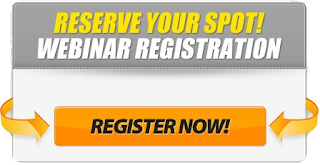 Next time - how to conquer facebook and engage with your customers who are looking for your car window tinting services.